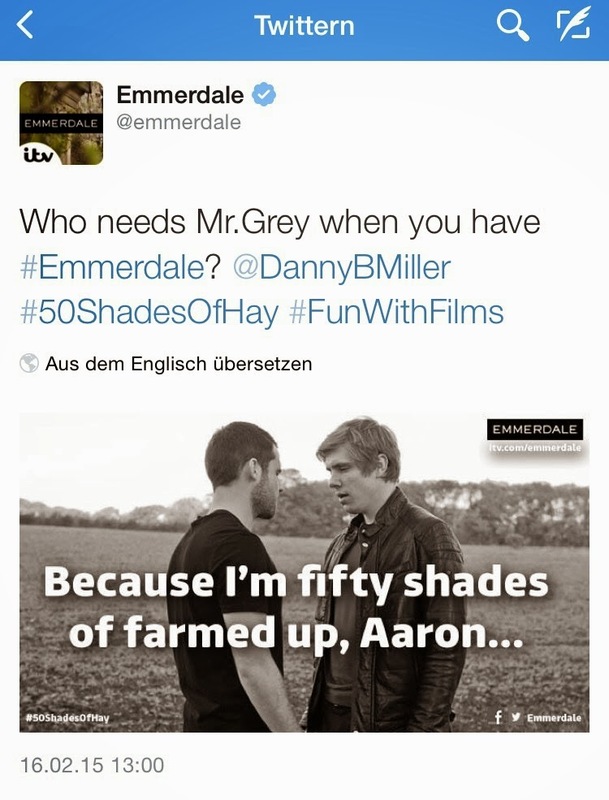 Emmerdale know's how to do it! Who needs Gray when there's hay? 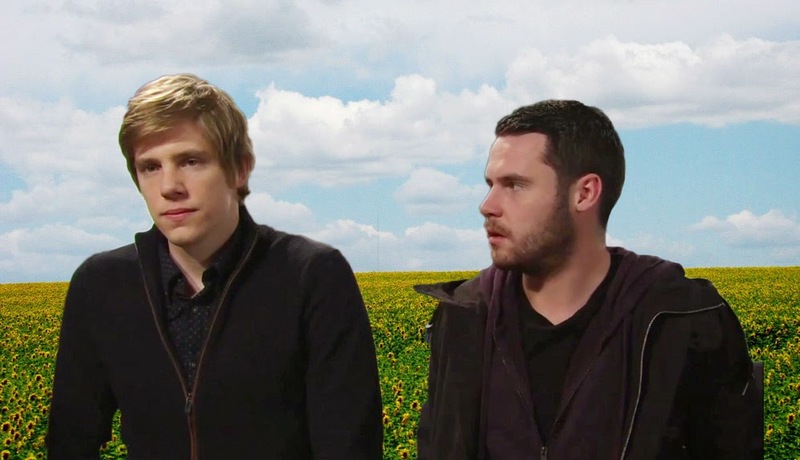 Ryan Hawley as Robert Sugden and Danny Miller as Aaron Livesy. 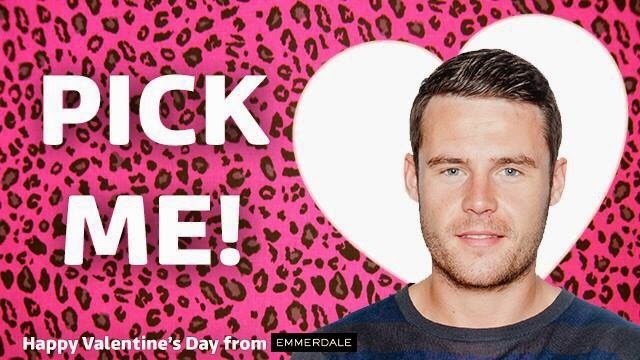 And if you like Danny Miller, or Aaron Livesy by all means, check out the adorable Valentines card the official Emmerdale account posted on Valentines Day! Who would not pick this sweatheart? !